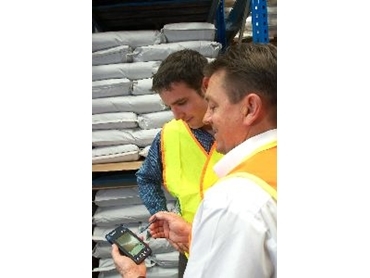 Information can be recorded on site and fed directly into the computer. PESTNET, a new service recently introduced by Rentokil Pest Control , enables users to keep track of all pest control information and detector systems, over the internet. General manager David Peterson said the service was designed for organisations that were required to meet the most stringent OH&S and HACCP quality audit requirements. "It is ideally suited to food and pharmaceutical manufacturers, processors and distributors, for critical computer networks, and IT equipment and exporters." PestNet allows the client total access and control of pest information via a secure internet site, at any time night or day. Being on the internet, it can be accessed anywhere and is linked to all the premises of the client, making it ideal for larger organisations with operations in different locations. * Be pro-active in pest control with detailed data capture and reporting. * Detect and analyse trends for all pest detectors and departments. * Instigate corrective action programs - meeting HACCP needs. * Access directly Rentokil Pest Control's Research and Development website. "Pest control is all about treating current pests, removing the conditions attractive to pests and closely monitoring the ongoing situation, which means a close partnership between client and Rentokil,” Mr Peterson said. "We cannot eradicate pests completely, but PestNet is where the future of pest control is heading -- sophisticated systems which will allow us to be completely in control and as pro-active as possible for those organisations with the highest commitment to clean and hygienic conditions for staff, customers, consumers and to meeting the most stringent requirements." Rentokil Pest Control is a worldwide leader in pest control. It is recognised for its innovative, effective and safe techniques in pest control, for both commercial pest management and residential pest control solutions.